Last week I realised that it has been a year since I started the Digital Mums course, and in true The Pramshed style I want to say ‘I can’t believe how quickly that time has gone’. Not only have I successfully completed the course which took 6 months, I’ve completed the 4 week ‘Do The Hustle’ course, sold our flat and bought a house, had my second baby, and found my first client. Alongside that this blog of mine has taken off more than I expected it to, so you could say that life has been pretty busy. It has been a brilliant year and I wanted to use this post as a means to write about what life is like as a Social Media Manager since finishing the Digital Mums course. But also to hopefully inspire others who are thinking about doing the course or starting a blog. In January this year I successfully passed the course, and then began the free (at the time) ‘Do The Hustle’ course. This is provided via the Digital Mums platform just like the course itself, and is broken down into 4 weeks of modules. You can complete it however you like; over a shorter or longer timeframe. By doing this course I learnt all the basics of becoming a freelancer including the more boring and necessary stuff including tax and whether to set myself up as a sole trader or limited company. The main part of the course itself gives you tips and advice on how to find and secure work including pitching for business and applying all the knowledge you’ve gained during the Digital Mums course. If I’m honest finding working was something I thought would be easier than it actually was, which is why you really need to hustle. Just like the name of the course it is all about ‘Doing The Hustle’. It is finding opportunities through chatting to people, chatting to parents at the school gates and basically selling yourself. Talk about what you do, what you’ve learnt and how you could benefit their business or their friends businesses. You never know where this may lead to. After applying for a few roles via the DM Collective (the Facebook community you join after completing the course) I started to get in touch with some of my parenting blog contacts. I knew that this was an area I wanted to focus on – having gained a huge knowledge through the blog, as well as wanting to support local businesses. 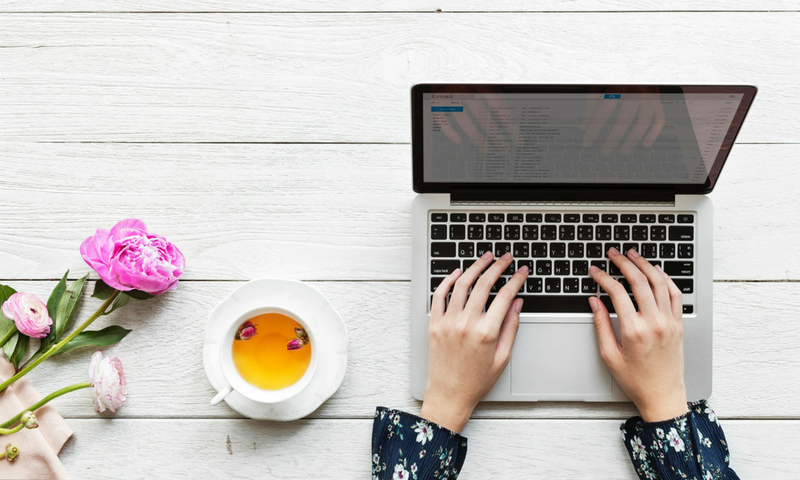 This I initially started by sending potential clients an email introducing myself as my social media brand – The Social Shed, and including a few pointers on how I could enhance their social media and how I could benefit them. At first this was daunting, almost a bit like cold calling, but you just have to break through this barrier and accept that they can only say no or just not reply. I was thrilled when I got my first client two months ago. Although it was 4 months after completing the course, it does take time to find work. Some people find work straight away, or are lucky enough to be kept on by their programme partners, or some take more time to find an ideal client. It was then head first into writing up a contract and getting that signed, agreeing my fees, starting to understand their tone of voice, platforms to work on and agreeing the type of content and number of posts per week. It was all very exciting, yet all very new at the same time. The first time I posted on their Facebook page I was pretty nervous and the adrenaline was actually flowing. I had no idea how their audience would react or what would happen. Truth be told nothing happened. However six weeks down the line, my client’s engagement has hugely increased and their page likes have doubled. So I must be doing something right! What I also didn’t see happening was the blog taking off as much as it has done. Every month sees more and more opportunities, with more and more brands wanting to work with me. It’s fantastic and I love it, and having this blog and my own social channels, has definitely given me the confidence to run my client’s social channels successfully. So now it’s all a big juggling act, as I try to juggle work and the blog with a newborn baby. It is tough but it’s been manageable so far. The greatest advantage I have is that my toddler goes to nursery two days a week, so on those days I do try to get as much done as possible. That’s scheduling, writing social posts, writing blog posts, having a bi-weekly client call (often fun with a screaming baby) and making sure I’m on top of my finances. I am slowly realising that I can’t do as much as I used to do, and I need to accept that. I’m still recovering from a c-section birth and I’m tired from all the night feeds, however that’s not going to stop me from trying to achieve my dream that I began over a year ago when I said goodbye to career as a Senior Project Manager in advertising. For now and for the next few months at least, I just need to lower my expectations slightly when it comes to work, and focus on getting the priority tasks done…..also the tasks and jobs that bring in the money. It’s been an amazing year and one thing I have learnt is that having a second child has definitely not signalled the end of this, in fact it’s probaby made more determined than ever. If anyone reading this has finished the Digital Mums course I would love to hear what you’re up to now.